The Short Incision Technique was pioneered by Choladhis Sinrachtanant, MD. It is a technique for creating double eyelids in Asian subjects using an incision of no more than 1 cm wide. 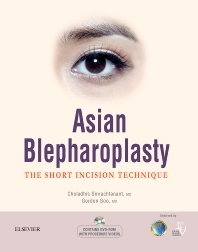 Daringly simple yet versatile, the Short Incision Technique has been the workhorse of Dr. Choladhis Sinrachtanant for over 25 years in almost all cases of Asian blepharoplasty surgery. It has since gained international acceptance and renown. His refined technique is simple to understand, straightforward to perform, and more importantly, creates beautiful results with minimal downtime. This book describes the vital concepts, technique and applications of Short Incision Technique which is easily learnt and quickly mastered with the accompanying instructional videos.